I wanted to make a more public chatroom than the closed-off Eris chat that currently exists. 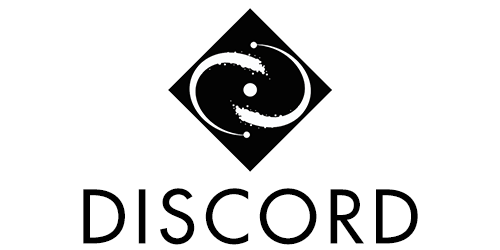 If you have a discord account, please read some of the FAQs below and come join us! You're free to talk about lore, the next update, and even share your upcoming species. Q: Can we talk about non-Cosmosdex / Fortuna stuff? A: Nope! At this moment we are not allowing a general chat, and thus anything that isn't related to the Cosmosdex is not allowed. Sorry about that, that may change later on! Q: Is this related to the fantuna discord or another one? A: This is NOT related to fantuna, and is instead an offshoot of the first Fortuna discord chat "Eris chat" that was run by Gimeurcookie until it closed off. Q: I was banned from Eris chat / another Fortuna chat, can I join this one? A: Unless you committed something extreme you will be allowed back, though you will be on thin ice so please be on your best behavior. The rules of this chat are far more upfront and relaxed than the other chats so you may do a lot better here. Q. I don't agree with the rules. A. Alas, this is a temporary test chat, and the rules are experimental. Should the rules not fit your taste please consider joining fantuna, a chat that stays up year-round. As the rules on the seasonal chat are looser we fully understand that it might not be as comfortable for some. Now that you've read everything, here's the here's the link to join! Make sure to read all of the rules upon joining! Edit: What was in this post no longer applies.